Roll it up! 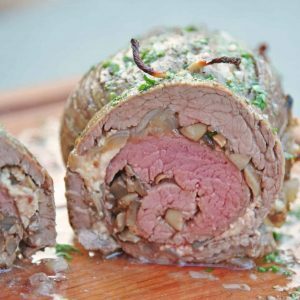 I’m taking all of the traditional steak accompaniments of caramelized onions and sautéed mushrooms, and stuffing it all into a cheesy, beefy pinwheel! 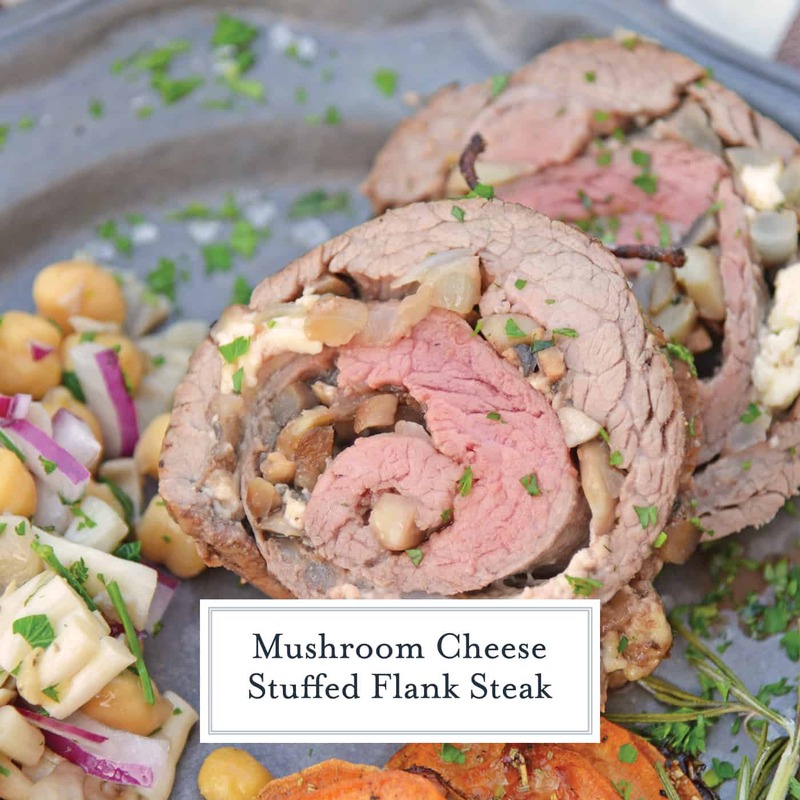 Mushroom Cheese Stuffed Flank Steak is a delicious and succulent main dish with cheese, mushrooms and garlic. 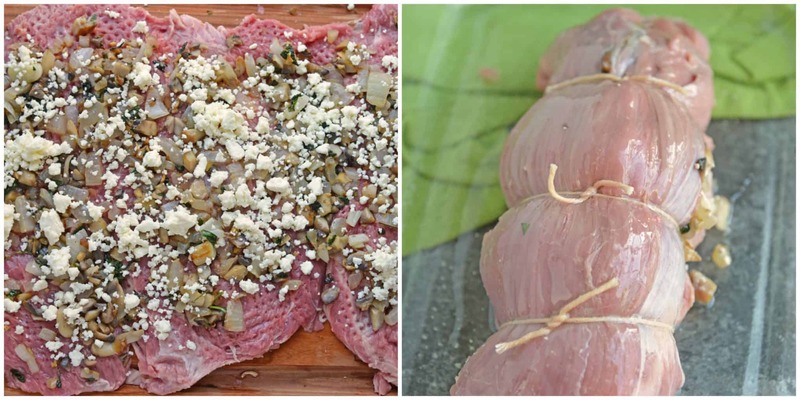 The best Flank Steak Pinwheel recipe! The key to making the most robust stuffed flank steak is the sweat out the stuffing ingredients before stuffing. It reduced water and volume, ensuring you can stuff the most into your butterflied steak. 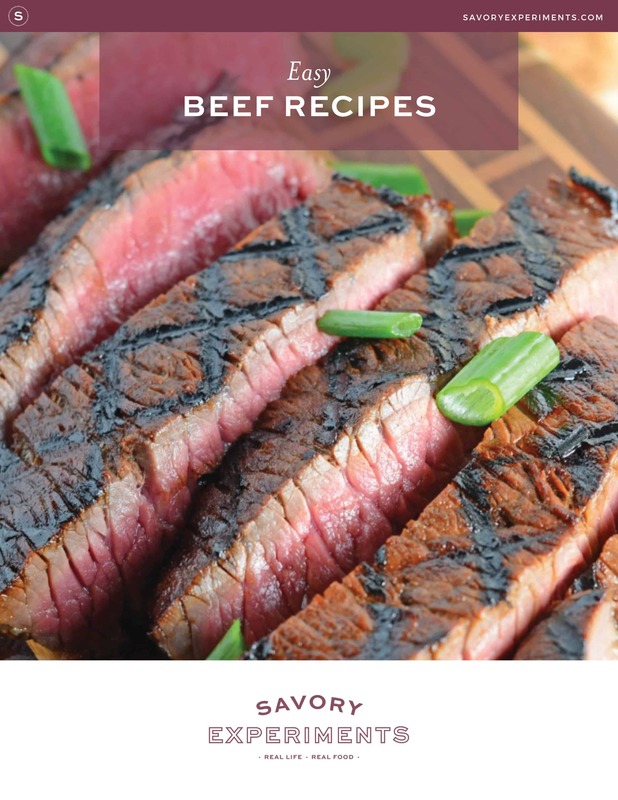 Another tip for preparing any cut of beef, including this one, is to slice and serve it against the grain. Cutting against the grain shorness the fibers making the toughest cut of meat seem more tender and the most tender melt in your mouth. Before you start, make sure you have cooking twine on hand. I’ve tried to secure stuffed meats with toothpicks in a pinch and it just doesn’t work. Twine not only helps to keep the shape in a roll, bust also holds the beef fibers together, allowing it to cook more evenly. It is just the nature of the beast, but even if you enjoy a rare steak like I do, the flavors do more than make up for the temperture and you can usually get the center to your desired doneness. But on a good note, you might not get it super rare, but you will get cheesy goodness and tender steak! I like using feta, a harder cheese, instead of soft cheese for this recipe because it has less tendency to melt and drip out. You can use mozzarella or Swiss, if you prefer. 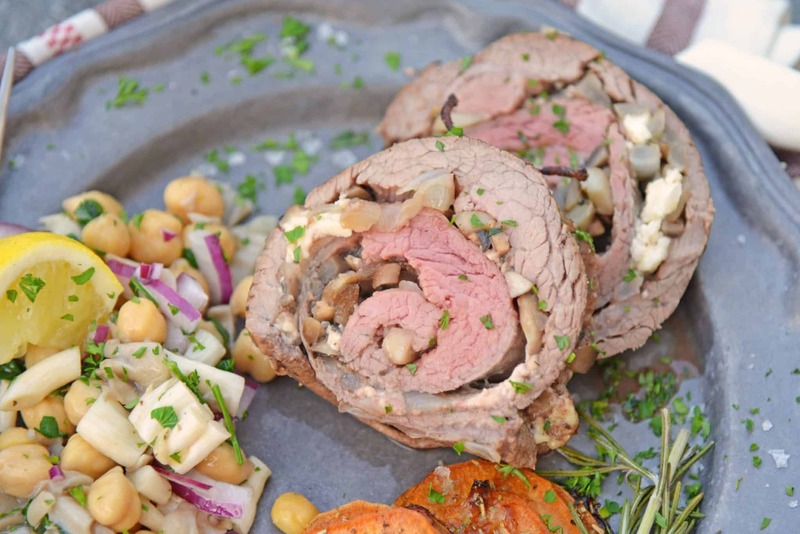 This stuffed flank steak is also great for serving at dinner parties, as the cut of meat won’t cost you pennies on the dollar compared to buying individual steaks for all your guests. 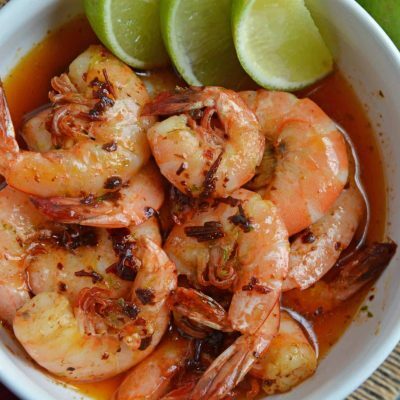 And the classic flavors can be combined with any side dishes or even an additional protein like grilled shrimp or small broiled lobster tails. 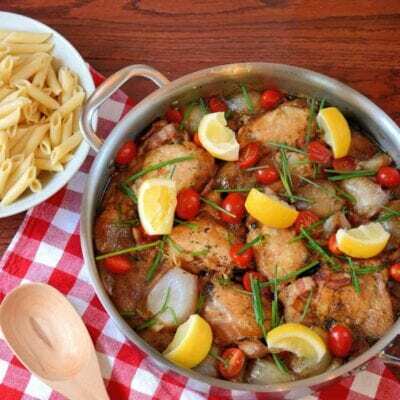 – an essential kitchen tools for making meats. 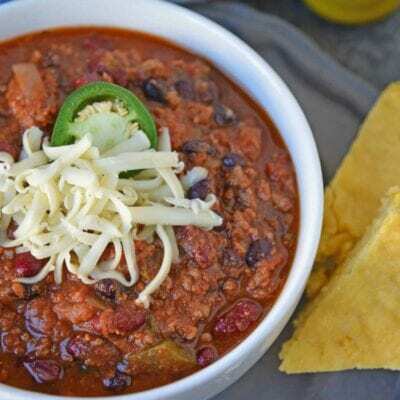 It not only holds shapes, but keeps fibers taut, allowing them to cook more evenly. 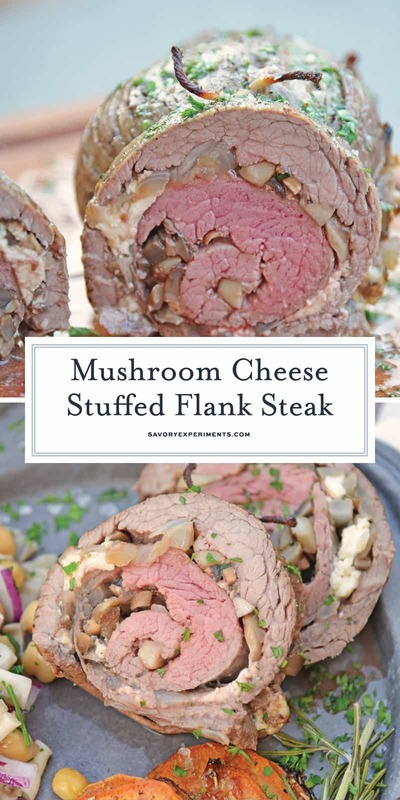 Mushroom Cheese Stuffed Flank Steak is a delicious and succulent main dish with cheese, mushrooms and garlic. 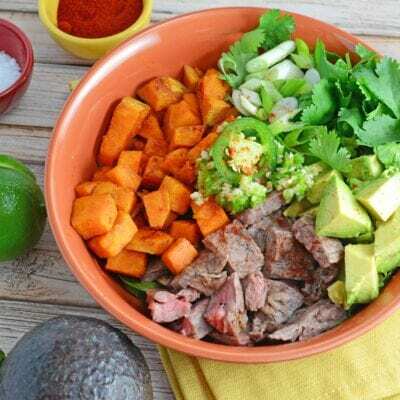 If you weren't able to find a butterflied flank steak at the store (or the butcher wasn't able to do it for you,) you might need to prepare your flank steak. You are aim for 1/4- 1/2 inch thickness. 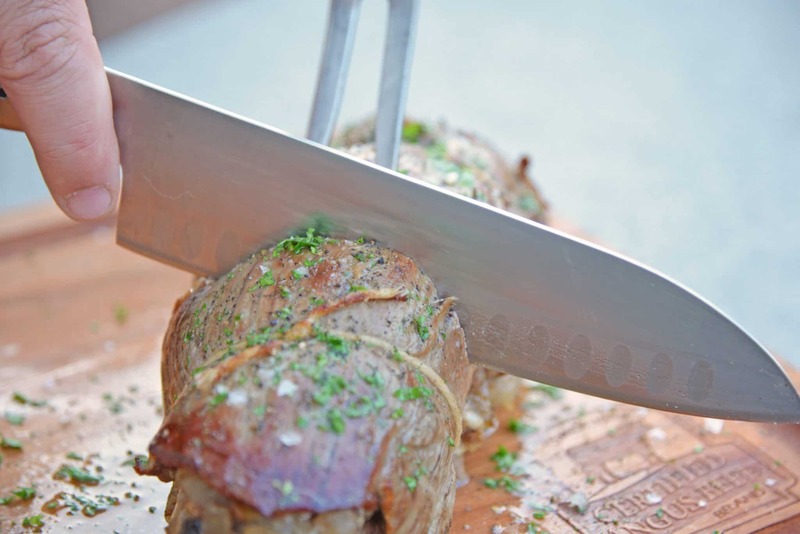 Lining a very sharp knife parallel with your cutting board and slice through the center of the steak, stopping just short of cutting all the way through. You should be able to open it up like a book and the surface area of the meat will have doubled. 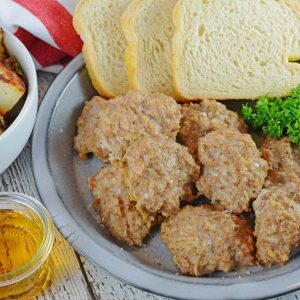 Use a meat mallet to even it out even further. The thinner the steak, the easier it will be to roll and the more fixings you can afford to stuff in there. Preheat oven to 375 degrees. Coat the bottom of a 9x13 inch glass baking dish with cooking spray. Heat a small skillet prepped with cooking spray over medium heat. Add mushrooms, garlic, parsley, sweet onion, cooking until reduced in volume by half. Remove and allow to cool slightly. Lay your butterflied flank steak out on a cutting board and tenderize lightly with a meat mallet. Season well with fine sea salt and freshly ground black pepper. Evenly distribute mushroom mixture, leaving about 1/2 inch along the edges. Evenly distribute feta cheese. 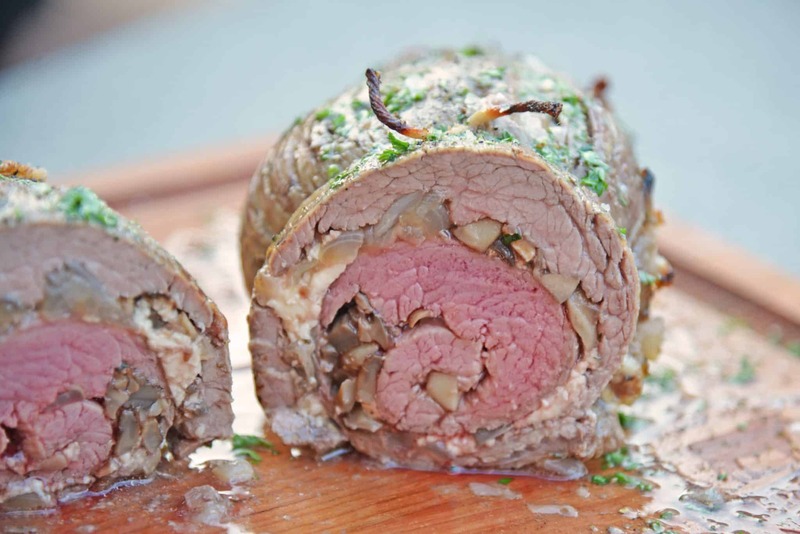 Roll steak along the grain, tightly roll up flank steak into a roll. Fasten with cooking twine. Twine should be tight enough to hold it in a roll, but not so tight that your stuffing it leaking out. 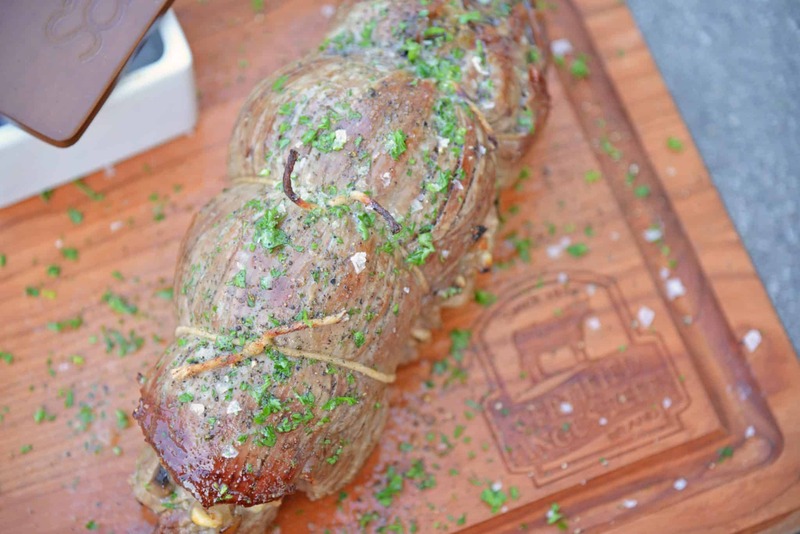 Rub olive oil on the exterior of your rolled flank steak. Season exterior with fine sea salt and pepper. Transfer to prepared 9x13 baking dish. Pour beef consume into the bottom of the baking dish. Bake for 35-45 minutes, depending on how well you like your steak. Remove and allow to set for 5-10 minutes before slicing. 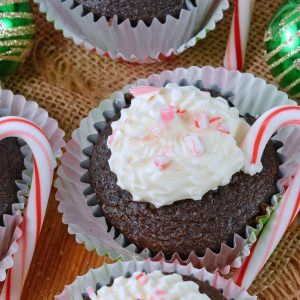 So, my husband would totally freak out about this recipe! Totally pinning for when I need some bribing power 🙂 Just kidding, but still pinning!